There are no additional tax benefits created by putting an annuity in your IRA. 1. How Much Tax Do You Pay on a Cashed Out 403(b)? 3. How do I Calculate Retirement Annuities? Annuities are retirement investment vehicles managed and maintained by life insurance companies. Money held within annuities accumulates without tax liability until it is withdrawn. 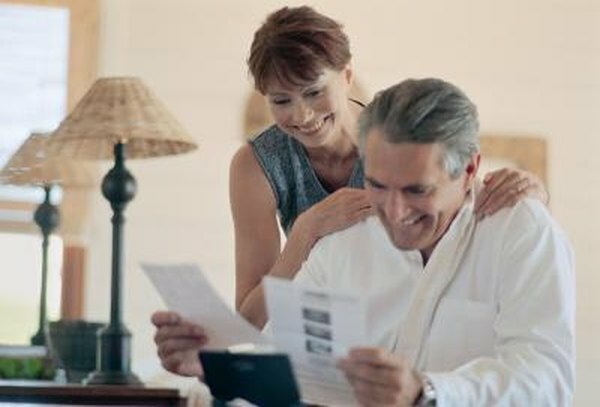 Individual Retirement Arrangements, IRAs are tax-favored retirement accounts that can hold a variety of investment vehicles, including annuities. Since annuities and IRAs both provide tax-deferred accumulation, there are no additional tax advantages to placing an annuity inside your IRA. The rules regarding timing and taxation of withdrawals are the same for money in annuities and IRAs. Annuities held within IRAs, called qualified annuities, contain tax-deferred money. Your deposits create income tax deductions, and the funds will accumulate without tax liability until they are withdrawn. The maximum contribution for 2013 is $5,500, but if you're over 50 years old you may deposit an additional $1,000 as a "catch-up" contribution. Once you begin taking distributions, every dollar withdrawn from the annuity in your IRA gets added to your taxable income for the year. Money remaining in the annuity continues to accumulate tax-deferred. IRA withdrawals are taxed as ordinary income, but significant distributions from retirement accounts might push you into a higher tax bracket. If you begin making withdrawals from your annuity too soon, the insurance company may deduct surrender charges from your distribution. Most annuity contracts contain language allowing the company to assess penalties for withdrawals taken within the first several years. Surrender charges typically range from 7 to 10 percent and decrease by 1 percent annually until finally disappearing. These penalties are separate from the income taxes due on your withdrawals. If you withdraw money from your IRA before you're 59 1/2 years old, the IRS will probably charge you an early withdrawal penalty of 10 percent. This penalty is assessed on the amount you receive and isn't affected by the balance remaining in your account. The early withdrawal penalty is separate from your income tax liability and any surrender charges imposed by the insurance company.